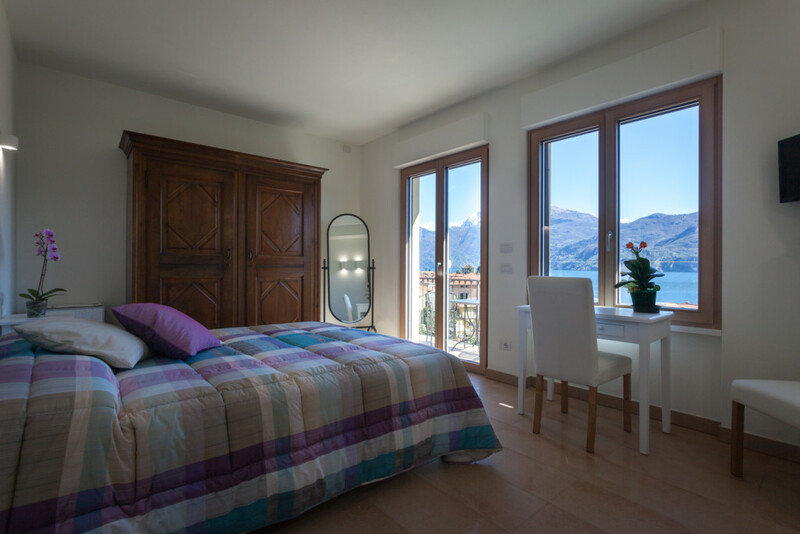 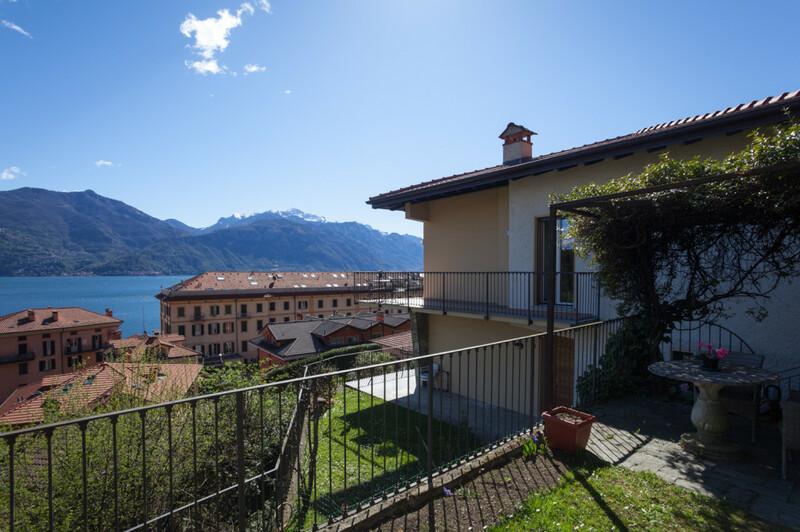 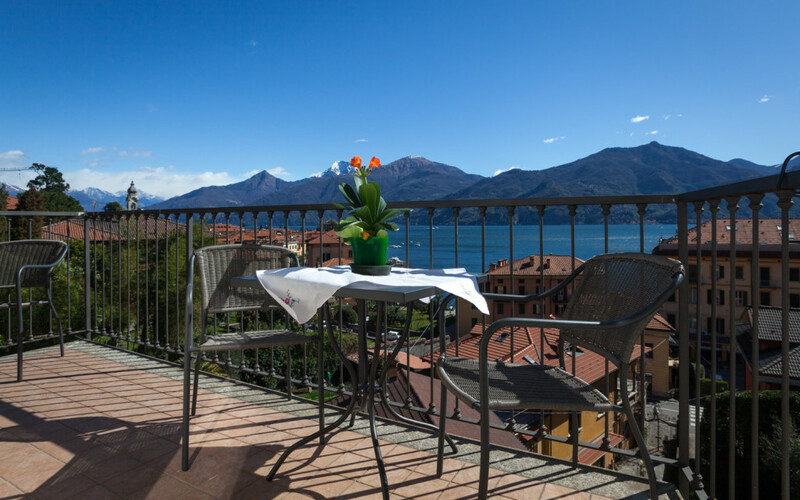 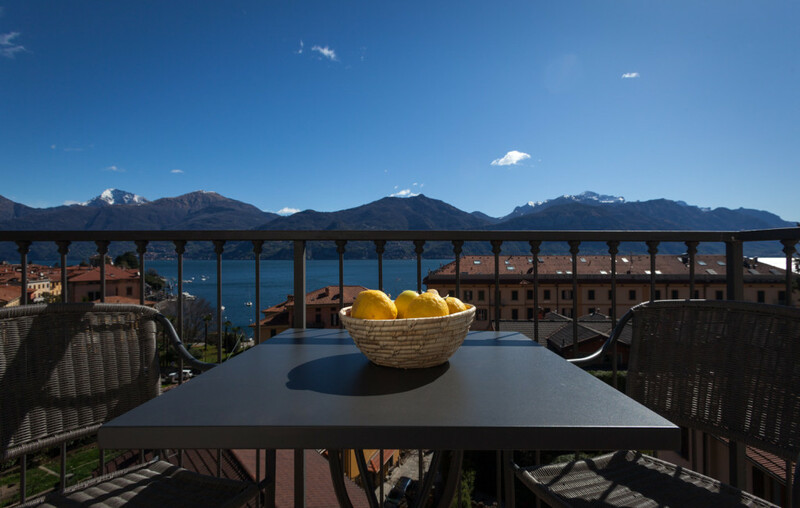 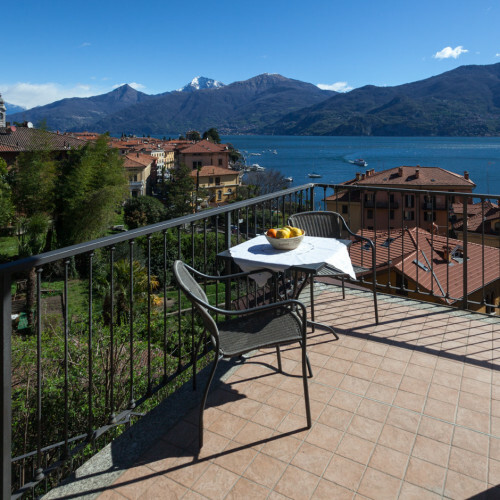 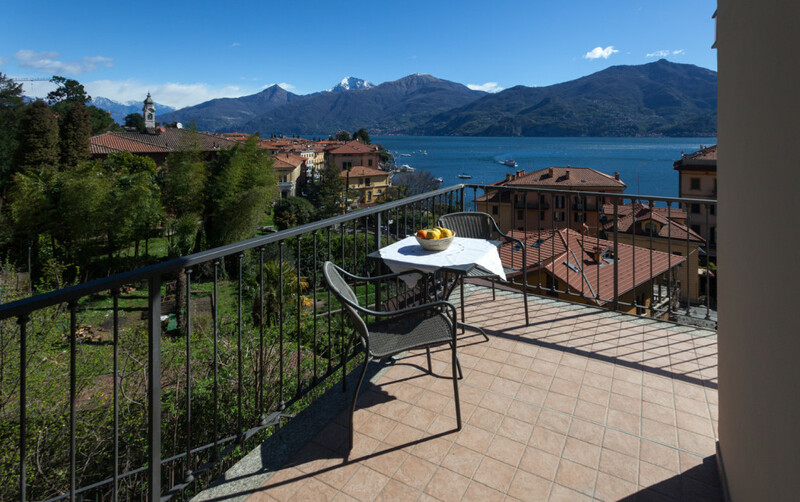 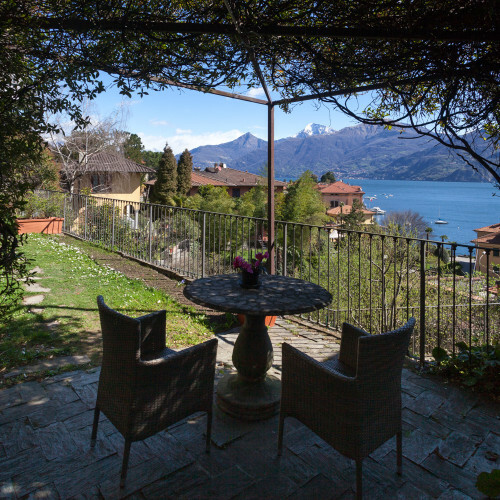 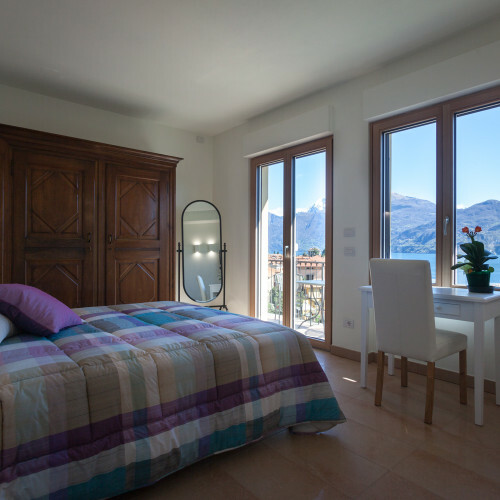 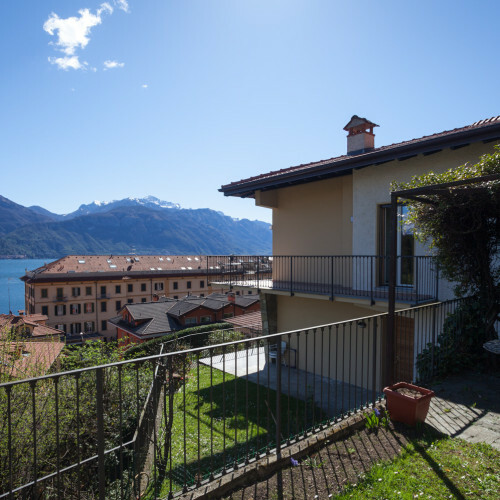 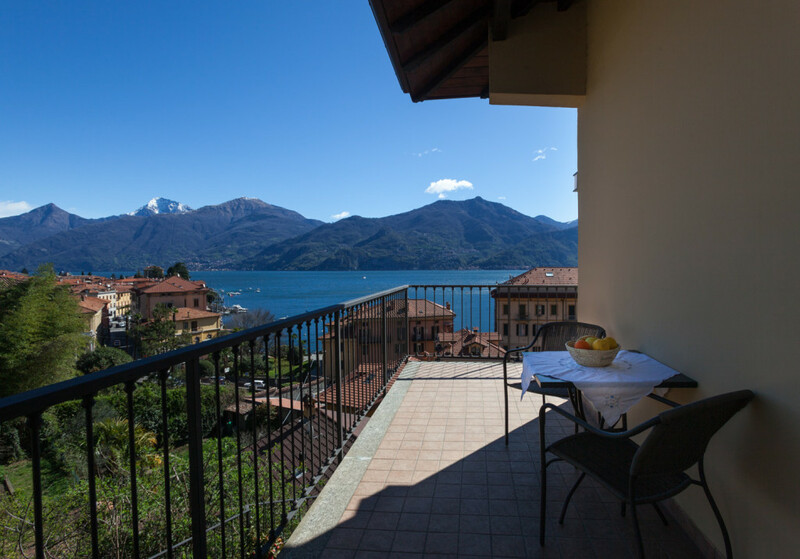 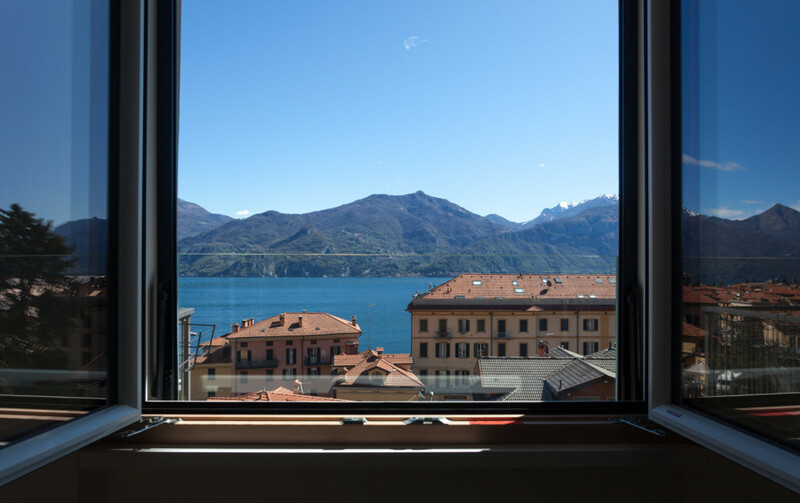 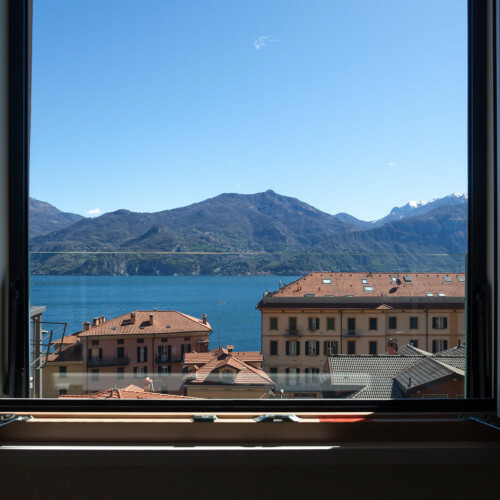 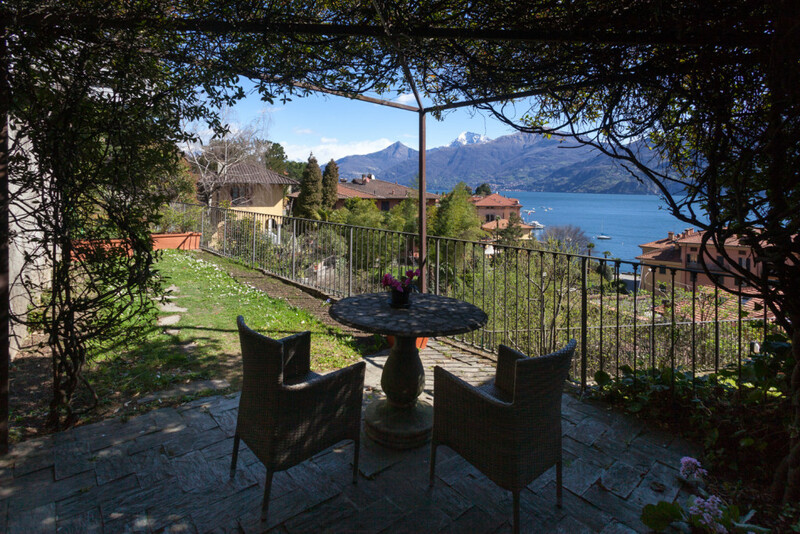 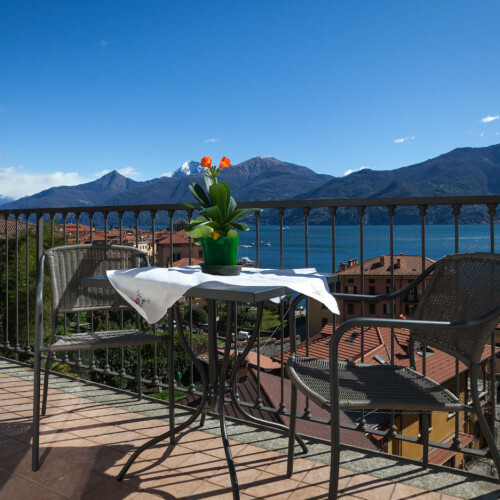 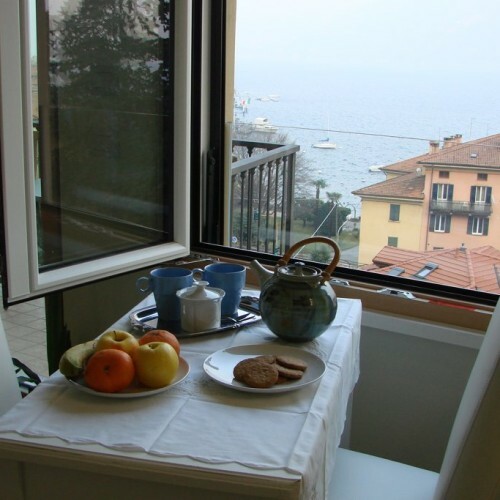 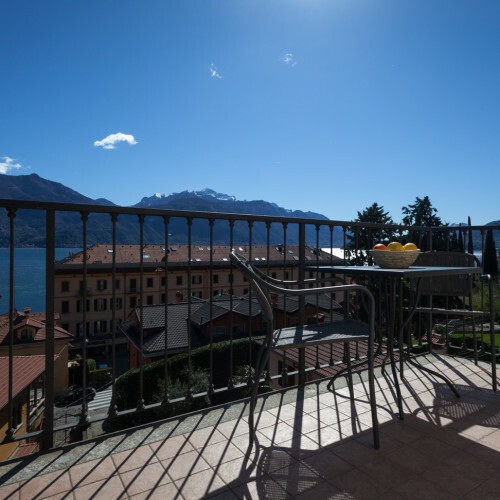 Three rooms holiday rental apartment on the first floor, about 65 sqm, for up to 6 people, with large balcony with magnificent views of the lake, the village and the surrounding mountains, and small garden. 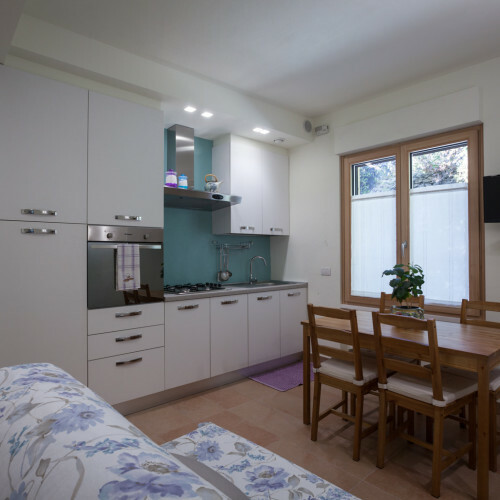 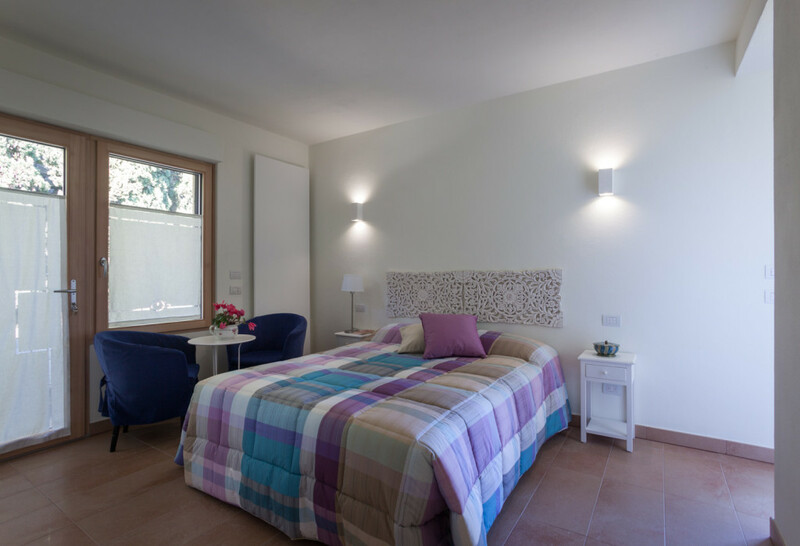 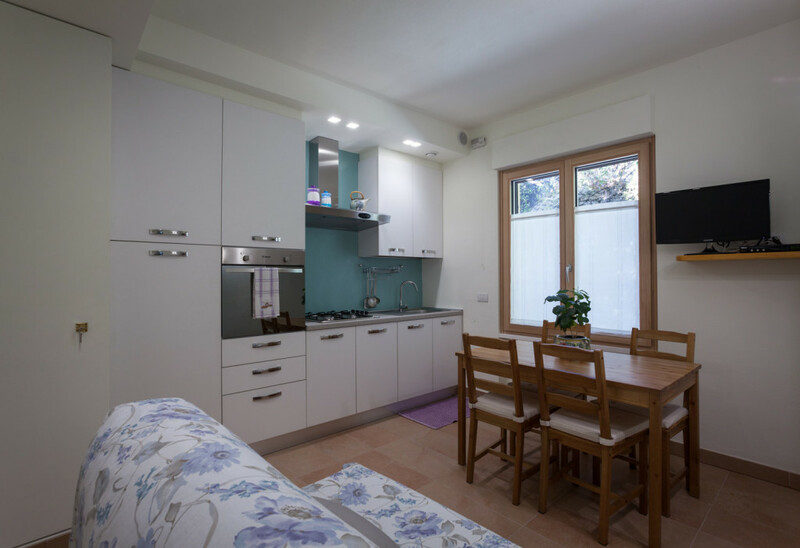 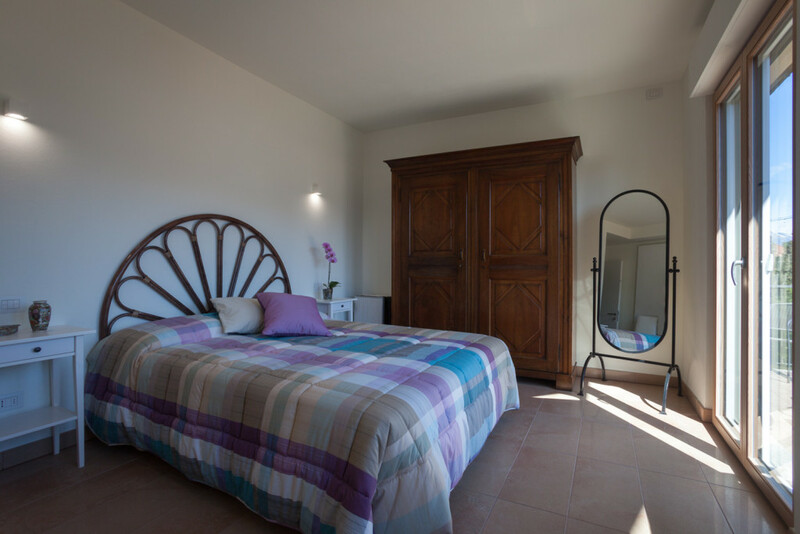 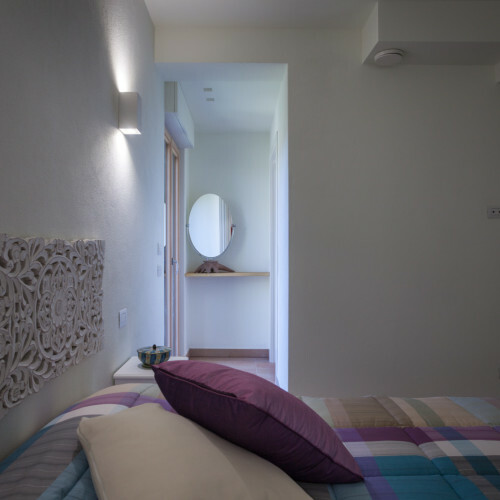 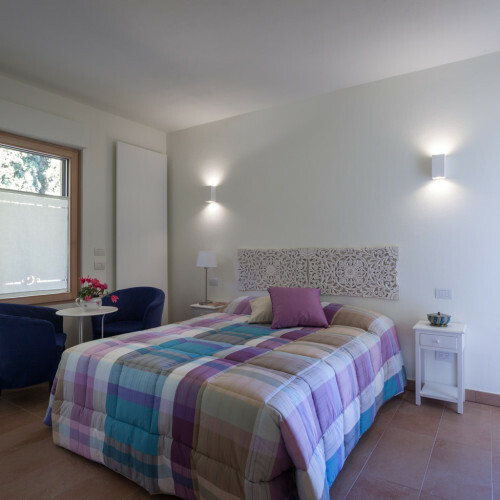 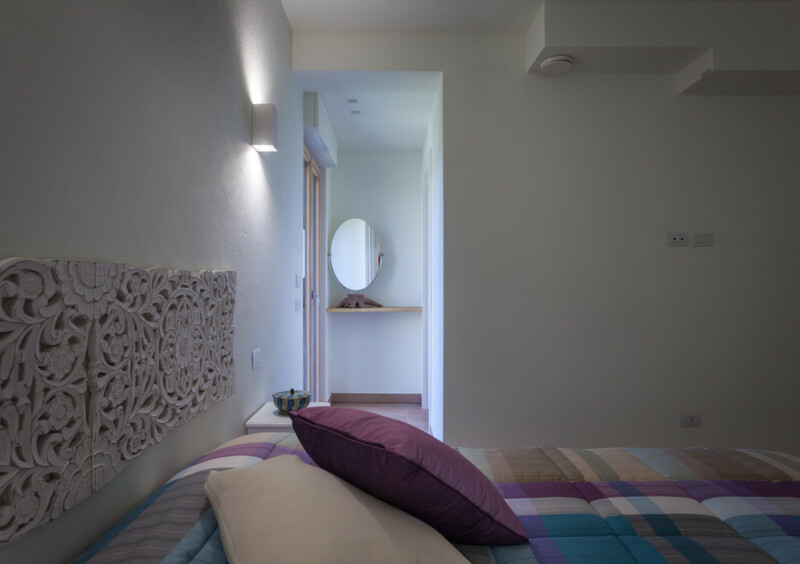 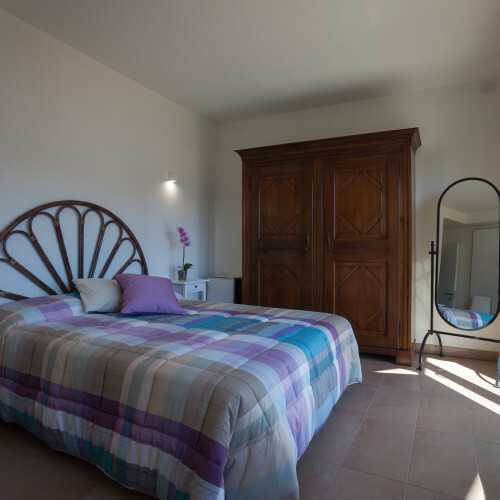 The holiday apartment “I Papaveri”, completely renovated in 2015, includes: entrance hall, kitchen with sofa bed, two bedrooms and two bathrooms with shower. 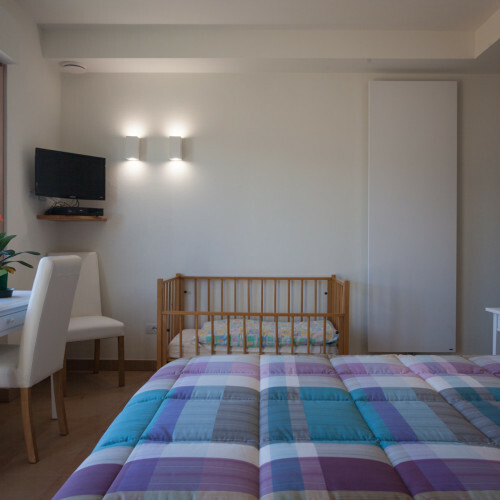 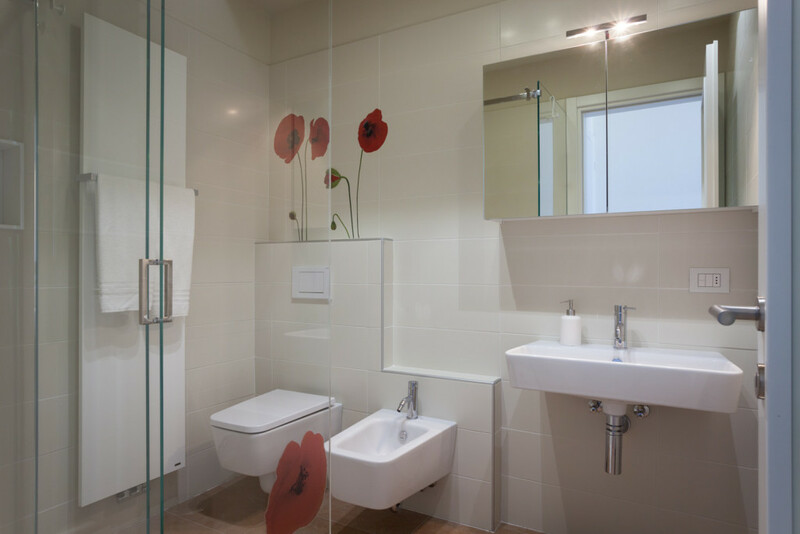 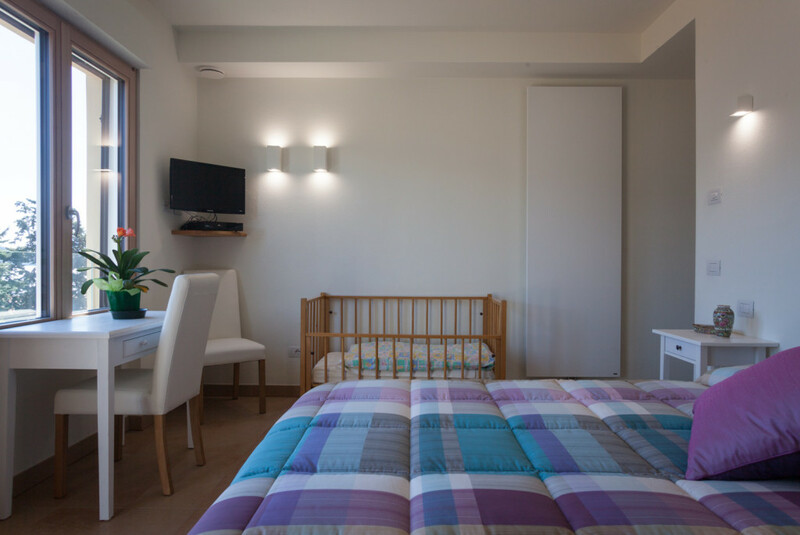 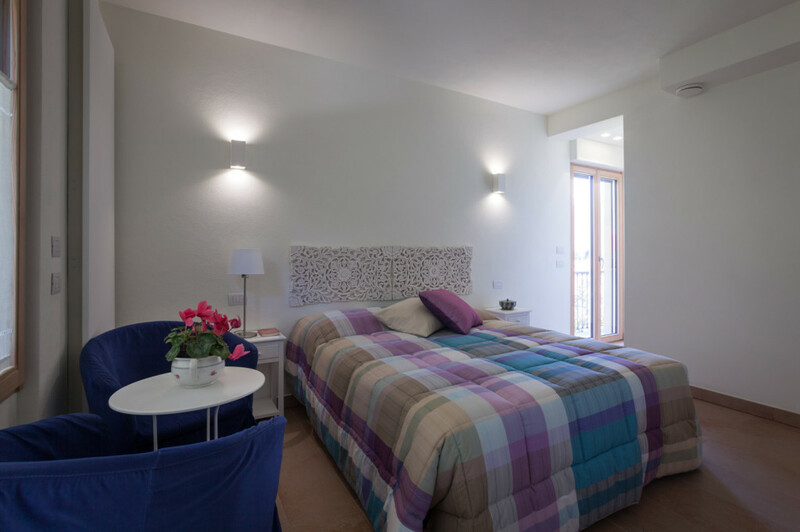 This holiday rental apartment is designed to give the maximum comfort to the guests, healthy and pleasant, thanks to the continuous air exchange system that refreshes the air and regulates moisture; also includes satellite TV, free wi-fi internet and laundry; a baby-chair and a baby-bed for family with children. 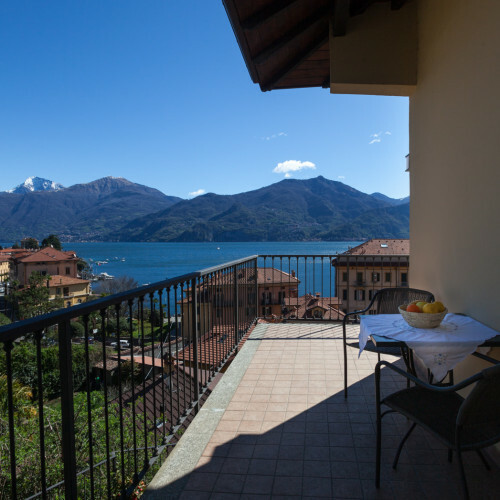 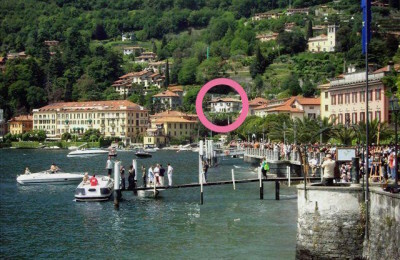 Our holiday house “Il Balcone di Elma” in Menaggio is situated in a sunny position, 200 meters from the center of Menaggio, from the bus stop and ferry area, especially convenient for those traveling without a car, but also with private parking for those who travel by car. 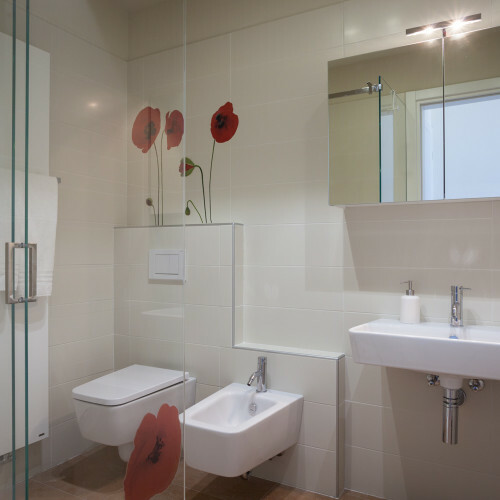 The owners, who live in the same house, can be available for any need, even reaching those arriving by public transport. 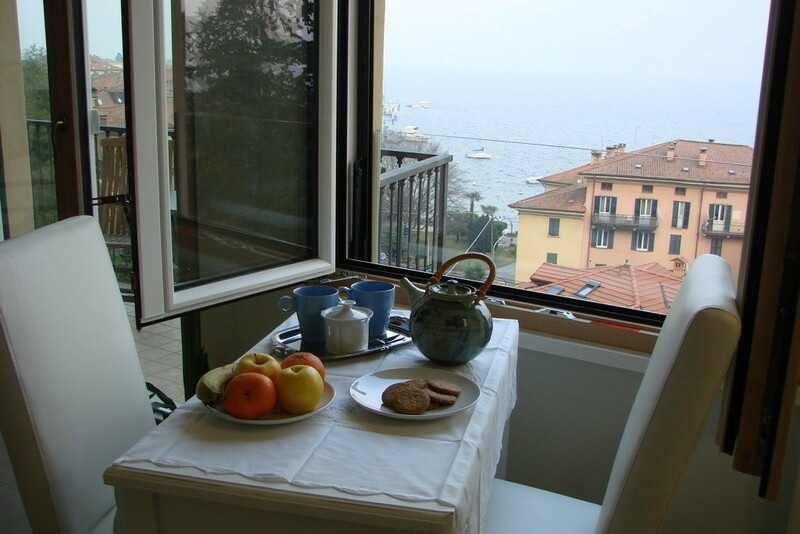 Upon arrival, guests are offered a welcome gift. 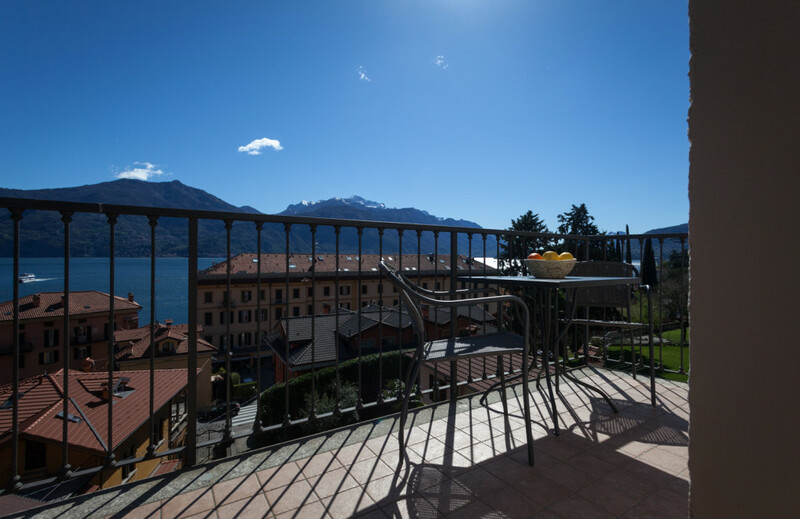 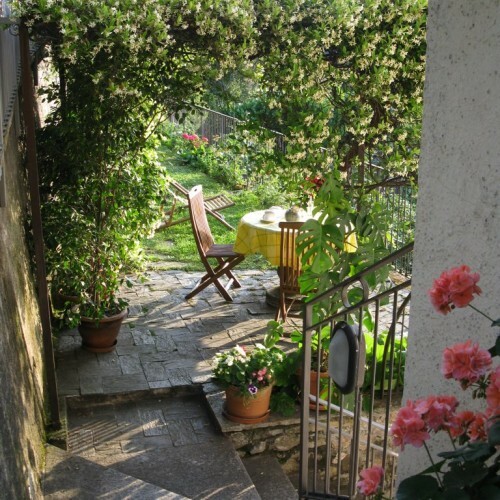 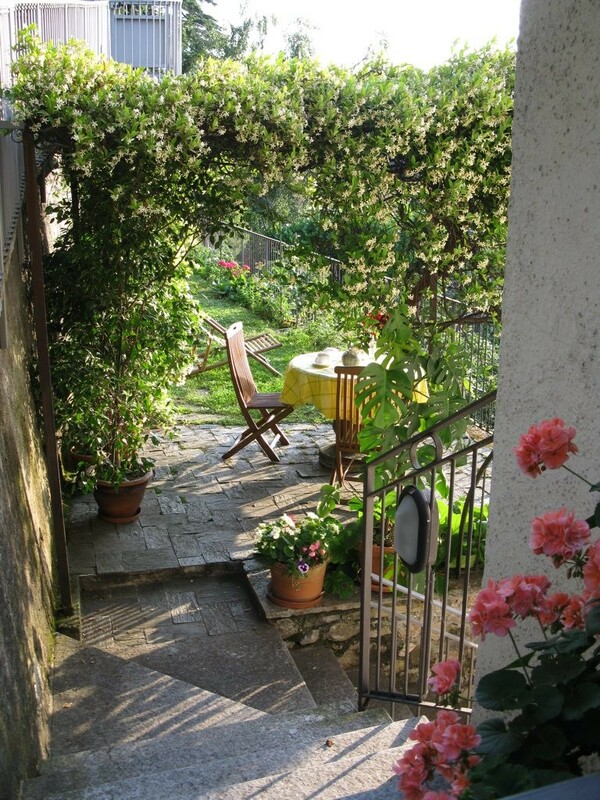 The large balcony and the adjacent small garden can be used to sunbathe, to have meals outside and to relax in an enchanting. 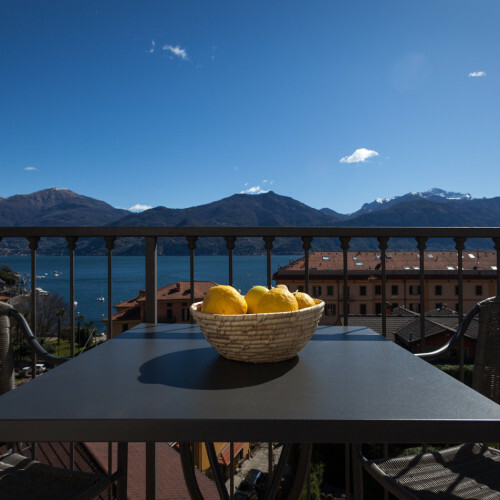 On Easter (18/04 – 24/04) and Christmas (28/12 – 06/01) applied Middle Season rates. 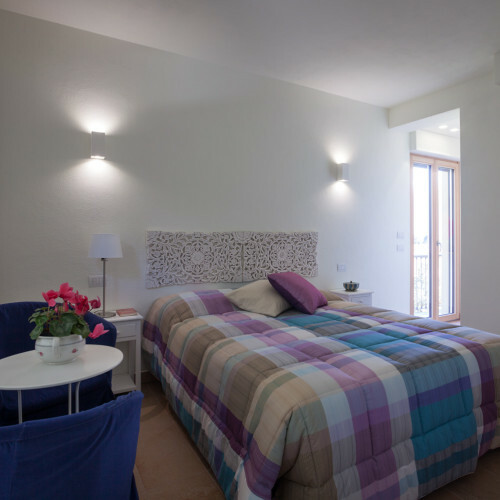 Bed linen and towels can be rented or you can bring your own.